Hey there! We are currently looking for fun gal to join our home! We are a 5 min walk to the beach, with a massive backyard and pool, as well as Netflix! 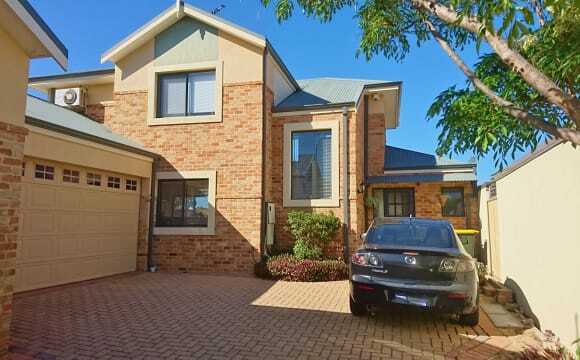 The Home is fairly new, clean &amp; well looked after, you will have separate theatre room, bathroom for your privacy, walking distance to Scarborough beach. Lexus international school, coles and many restaurants. Internet,electricity,Gas &amp; water all included. One female wanted short term up to 6 months for furnished room in a fully furnished air conditioned beachfront unit 2 bed/1 bath/insuite laundry at Scarborough, sharing with one female. The room has a queen bed, linen, 3 drawer lowboy, 2 drawer bedside and lamp. We can make an arrangement if hanging space is needed. A student desk and chair is available in the living room. Off street parking available. Water view, in front of beach, close to buses, Coles, restaurants, swimming pool and walking/cycling path. I am looking for a clean, friendly, responsible roommate who will not disrupt the peace of my home. I am a clean freak so messy tenants need not apply. If you would like to inspect the room, please email some info about yourself including whether you work or study (and where), when you wish to move in, how long you wish to stay. I will contact those who seem like a good fit. The room is available 28 April for short term. No parties, no late night or overnight guests, no drugs, no smoking. You can party and entertain your friends at the newly developed Esplanade located a 5 minute walk from the unit. Price: $180 per week (payable fortnightly) includes rent, electricity, weekly cleaning and common household items (toilet paper etc). No wifi but this can be connected for additional cost – I use the personal hotspot on my phone instead of wifi. I will be responsible for cleaning the unit weekly except for your bedroom (that is your private space) and you will clean up after yourself at all times. The potential roommate is required to be an approved occupant and undergo the usual vetting process by the property manager, including reference checks. Bond is $360 which will be returned to you when you move out less the cost of repairing any damage caused by you. Two weeks’ notice required upon moving out. Absolute beach Front with spectacular ocean view. 3Brm x 2 Bth. Fully furnished appartment. Master Bedroom has Ensuite and Spa. FREE UNLIMITED NBN connected WI-Fi. Security Complex with Card Entry. Features: Large Heated Indoor pool, sauna and spa. Large fully equipped Gym. 2 Tennis Courts with BBQ Facilities. Large Outdoor Swimming Pool with sandy beach. 2 Undercover car bays. Great location, close to all amenities and about 50 meters from the Beach. Live the DREAM. 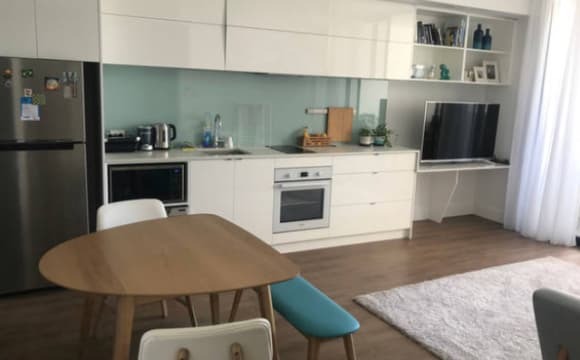 New modern apartments with a pool, BBQ area and gym all included for use. 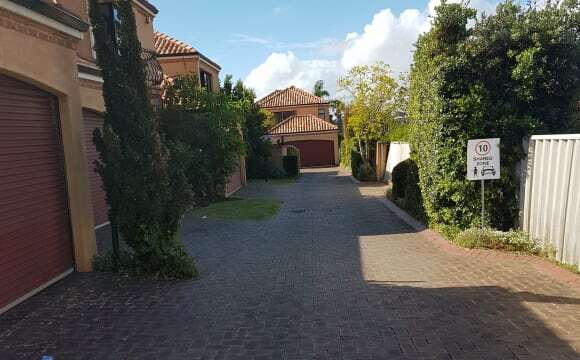 Close to Brighton and Scarborough beach Also your own secure parking bay. I have two rooms Available!. Looking for 2 legends to join me in scarbs :).. The place is beautiful, modern townhouse, 10 mins walk to the beach. It is completely furnished, asides from the available rooms. It feels safe and secure, it has a nice spacious feel to it...plus the sunsets are amazing! Theres an out door shower for those days when you are covered in salt and sand from the beach and the courtyard area is covered and beautiful in summer or winter. Sorry NO PETS allowed at this property. Internet, Netflix, Foxtel, awesome backyard and close to the beach. Great location. Central to everything you need (shops, cafes, bars, pubs, library ect). 5 minute walk to the beach and 10 minutes to Scarborough Esplanade. The apartment is a nice space to kick back and relax. There are a few plants and I'd like to require more. The flat is away from the street and we are the top floor (3 levels) so no noise pollution. It’s close to the beach, 150 steps to be exact. And all shops. You can walk everywhere. Parking is limited. The unit comes with a single car space. Which will be included in the rent at $300. However with out the car space the room is up for $275 ONO. But there is available spots on the street behind us. And a parking complex on the block. But you will have to do some research on cost cause I do not know. I currently pay $550 to the landlord for the two bed room 2 bath room 1 car space apartment. This is a front line to the beach Appartment with stunning ocean views from every room. The building has a pool and own lawn with direct access to the beach. 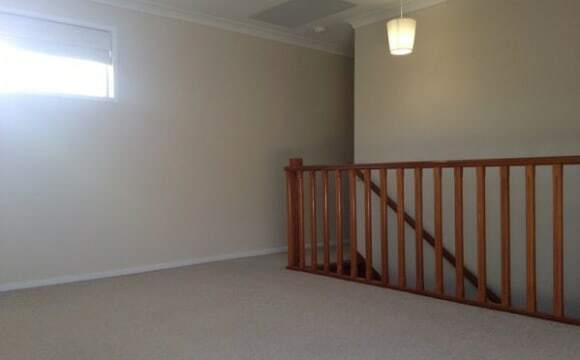 My housemate is moving to Sydney and I need someone to take over his beautiful room. It's a large room with a huge wardrobe and its own bathroom with a bath. I am looking for someone Mature clean and respectful to share this beautiful space with me. We keep the house nice and tidy and are respectful with each other’s privacy. We also like having a BBQ, socialising and drinks together! (But it's not a party house). We only need someone for maximum two (2), so if that sounds good please contact me! **UPDATE: Hi guys, unfortunately my new Housemate has had a family emergency so is headed back East, its pretty sad, but i wish him all the best. the upside is that the Room is now back available again! 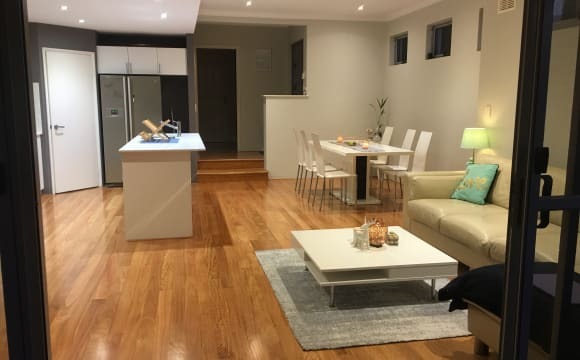 Also, i did get a few people asking about pets etc, unfortunately, as much as id love to have dog(s), they are pretty strict about a no pets rule within the complex sorry House is super close to everything in Scarborough, walking distance (2mins) to beach, coles, waterfront bars etc. its in a quite block (although sometimes you can hear the Music from Indi bar) super relaxed household. My current housemates are moving into a new place unfortunately so looking for someone to take their spot. They've set the bar pretty high so come with your A game! 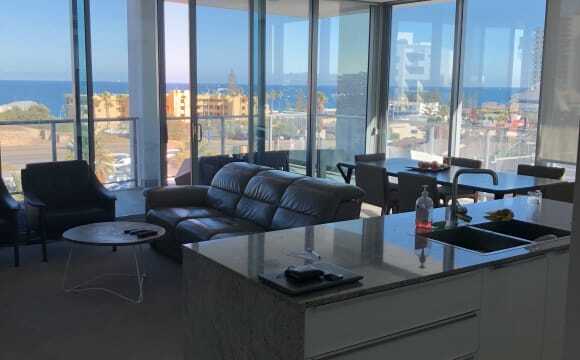 The photos show an empty unit, but its semi furnished, room will fit a queen and has a wardrobe etc, plus there is a fair bit of storage as well Has off street (double garage) parking, pretty much ready to move in and start living beachside summer life! Furnished upstairs room with views and built in wardrobe available. 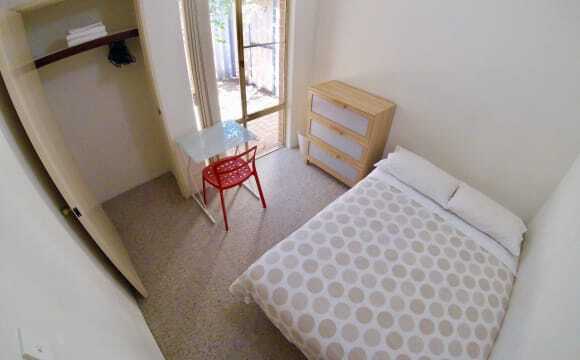 Situated in picturesque Scarborough Beach a 4 minute walk from Brighton Beach. Tuscany Cove is an Italian inspired, coral coloured living space with a huge courtyard and double garage. you would be living with Stephanie and I (a couple) and Rob until Samuel gets back in November. We are a very social household, Steph and I work FIFO 2 n 1 whilst Rob works in town. Sound deadening is very good and noise doesn't carry through the house. We also on occasion host dinner on weeknights that might carry til 1am at the latest. large kitchen gas stovetop and heating, electric oven. sunken lounge with surround sound and entertainment (flatscreen TV with connected media PC with Netflix and Stan) and some uber comfy couches....like, could use as bed couches, you'll see. All 3 of us are neat and tidy around the house. We are a stonesthrow from all of the amenities you could want. This includes gym/restaurants/bars as well as shops, bus stops (between 45min to an hour to the city) barbeques on the foreshore and most importantly, pristine beaches.